Another great street food vendor has started serving regularly in a pub. 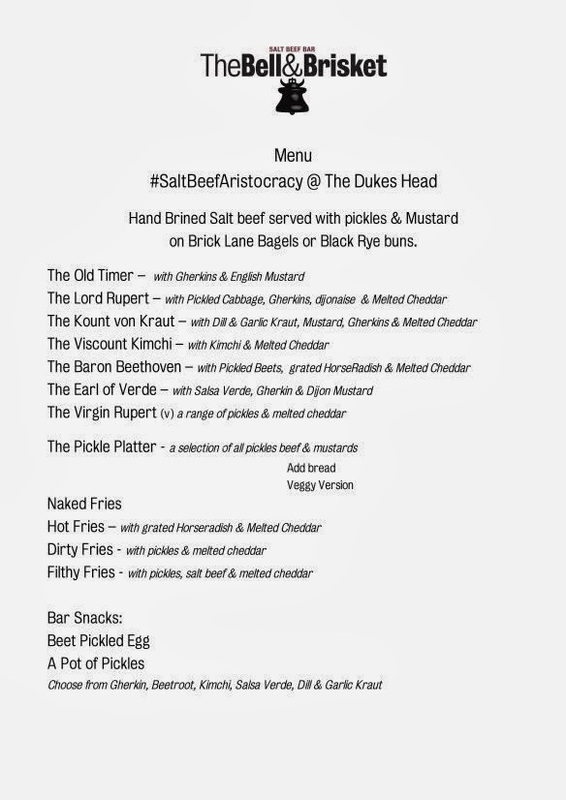 Kerb regulars Bell & Brisket, who I first met back in 2012 when they were serving in a pub in Piccadilly Circus, are now at The Duke's Head in Highgate, for lunch and dinner seven days a week. 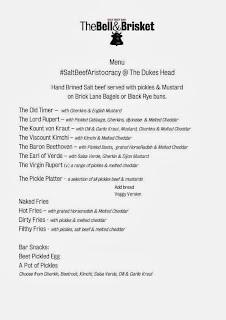 Expect the most amazing salt beef sandwiches, with all the trimmings (& the pub's got lots of great beer too). No booking - just turn up. Click on the menu below to expand it.